Form includes information on payments, fees, and tax credits and rebates. 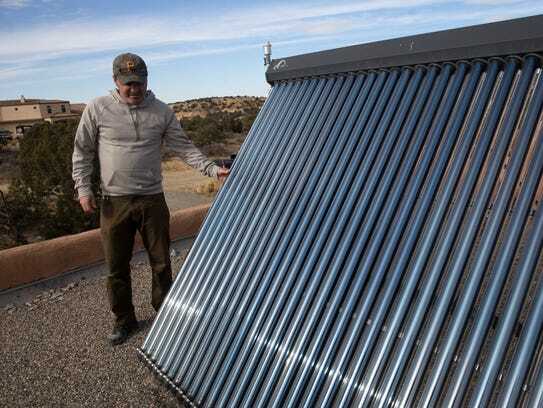 Investing in solar power infrastructure could become a more transparent process for potential residential consumers in the state with a disclosure requirement introduced by New Mexico’s Office of the Attorney General. The disclosure requirement is a form that merchants would have to fill out for a potential customer in order to help the customer understand the solar power system purchase, lease and power purchasing agreement, according to James Hallinan, communications director for the AG's Office. “The form is intended to be filled out by the business to inform consumers of the details of the transaction of residential rooftop distributed solar systems,” Hallinan said in an email. The form includes information on regular payments, additional fees, tax credits and rebates, tax obligations and transfer options, according to a draft of the form. Attorney General Hector Balderas released a draft of a form — officially titled the Distributed Generation Disclosure Statement — on Nov. 28 to comply with a law passed during the 2017 legislative session that requires any agreement that finances, sells or leases solar infrastructure or any agreement that transfers purchasing power “to include a written statement, separate from the agreement and separately signed by the buyer or lessee, that includes certain disclosures,” according to Hallinan. Businesses in the solar power industry are not currently required to provide the level of details that are required by the new law, Hallinan said, and there is no standard for what information businesses have to provide to customers. “Essentially, this disclosure form needs to be provided to consumers at the time the contract is signed so the consumer knows exactly what they are paying for,” Hallinan said. Mike Eisenfeld, energy and climate program manager for the San Juan Citizens Alliance, had 20 solar panels and a solar water heater installed on the roof of his family home in 2011. He said his family consulted with San Juan College’s renewable energy program to determine the cost of installation, maintenance and use. Mike Eisenfeld talks about how his solar panels operate Friday at his home in Farmington. Eisenfeld said the cost analysis form shows “smart planning” on the state’s behalf, especially for a state with “tremendous opportunities for solar” power like New Mexico. “It’s a pretty competitive business,” Eisenfeld said. “You’re getting people going around and saying, ‘Hey, we can install this on your roof,’ and for some of them, there might be a lot of costs that are hidden." Eisenfeld said companies can offer a wide range of estimated and actual costs, and the process of gathering all the information in a comprehensive way can be tedious. “I think a tool like this is good, because otherwise, it's conjecture,” Eisenfeld said.